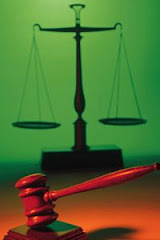 This is the true crime story of Ellen Boehm,who appeared to be a typical single mother,full of love for her children.She worked hard and enjoyed close family ties.Yet within 2 years' time,two year old David and four year old Steven Boehm mysteriously died,leaving doctors baffled about the exact cause of death.In addition,her eight year old daughter suffered a near fatal mishap. Although Ellen told everyone her sons died of illness,Detective Sergeant Joseph Burgoon of the St Louis homicide division wasn't buying it.Relentlessly pursuing the truth,he slowly unraveled a labyrinth of deceptions and lies to reveal Ellen as a cold-blooded killer who could not wait to collect on the insurance policies she had secretly taken out on her chilren. As per my one blogpost where I requested from readers that they choose which crime book I should review next,I received this request from Lucy @ yahoo so this one is for you.I could not work out from your e mail where you originate from so I hope you are not from South Africa as Kalahari Books in South Africa is no longer stocking this book so it is only accessible from the Amazon link or if you like you can let me know and I can send you my copy. (Rebecca the next review is for you for Invisible Darkness,I should do that one tomorrow). 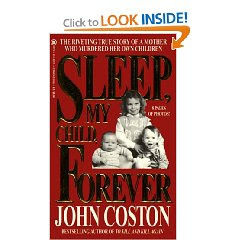 I thoroughly enjoyed this book.I love the way that John Coston wrote this book with past events intermingling with the current events being the investigation.It was easy to follow and I enjoyed having access to past events just before a current part of the investigation as my mind was clearer to understand the investigation at hand. It was mind boggling to follow this woman's(Ellen Boehm) obsession with the WWF circuit and the "stalking" involved.I think this woman's life was so empty and she obviously did not have the capacity or mental power to create activities more becoming of a mother and head of a small precious family. I have a book blogger friend from the US who stated that this book contained a lot of mistakes concerning the St Louis area as some feats performed by Ellen Boehm such as driving west on a certain street which would have apparently ended up in a collision as the street does not go west at all.I obviously have no problems concerning this as I do not know the St Louis area and in fact do wish that Ellen Boehm had gone west on that street and collided into a building before she got the chance to kill her children. A silly thing that I enjoyed about this book is that the print is really clear and bold which made for even easier reading.I wish all books were printed that way.Otherwise I probably need glasses. If you would like to read some more reviews about this book then access the Amazon link below. I read this book in April 2007 and it has 316 pages and pictures of the precious little children.A photo of the couch where the murder took place and how, was very disturbing for me. I'm with you on your opinion of mothers who aren't mothers at all.I just can't see how a woman could give birth to that precious child then mistreat them or kill them. I agree with you on mothers who aren't mothers at all! How they can do that is beyond me and it is getting more common. I also liked this book but I do hope Ellen Bohem burns in hell, the stupid evil cow ! I also hope her precious daughter Stacy finds peace, love and happiness in her tragic life. May God bless her with a much better adulthood than her awful childhood. Hey , im a 14 year old girl that lived in the riverbend. My mother moved in about 3 years after this all happened. I Have been on the same exact floor that they lived on and this has happened. I cant see a mother hurting thier children like this. The little girl survived bc she was smart enough to throw the blow dryer right back out the bath tub. Its really funny how kids can be smarter than thier own parents. And she Kills her own children just to get some money... People like that dont deserve children..better yet people like that dont deserve to live !